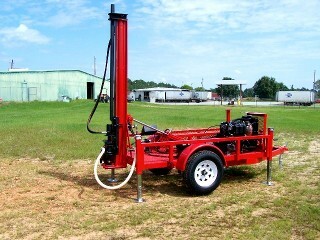 The Most Efficient And Best Built Portable Well Drilling Rig On The Market, We Guarantee It. 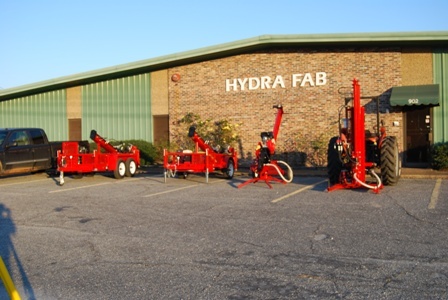 From 13HP Portable Packages to 36HP Hydraulic Trailer Mounted Rigs, We Have A Portable Drilling Rig To Fit Your Needs, And Your Budget. NEW FOR 2018 "BoreMaster ZX-1000"
A State of the Art Drilling Rig For The "Do-It-Yourselfer"
Everything You Need To Drill Your Own Water Well, Ultimate Power, Speed, And Efficiency In A Portable Rig. New Super Duty ZX-1000 Package Includes: EPA Approved Kohler Powerhead Engine With High Torque Belt Drive Transmission, BoreMaster ZX™ Power Mast Adjustable Beam Assembly With Easy Carry Handles, Perfectly Balanced for easy moving, 13 Inch Wheels And All Terraign Tires, 12 Volt Power Winch with Remote, Electric Start, Electronic Ignition, Commercial High Volume Water Swivel, Break-Out Tools, Built-In Tool Tray, HD Drill Guide / Slip Plate, 125 ft. Premium High Strength Drill Stem (Not Schedule 40 Water Pipe), Set Of Our Solid Carbide Blade Drill Bits, Commercial Grade Mud Pump Delivering 12000 GPH, Pressure Hose Assembly With Double Gate Valves, Suction Hose Assembly, And "How-To" Instruction Manuals. The New ZX-1000 Is Easily Adjustable From Zero to 40 Degrees For Drilling On Uneven Teraign, and For Geo-Thermal Drilling Requiring The 30 Degree Slanted Boreholes. And, The BoreMaster ZX-1000 Is Designed So That It Takes Very Little Effort To Get It To The Drilling Site, Even A Small Child Can Handle It. Heavily Tested, Proven Reliability And Efficiency. Our Drilling Rigs Are In Operation All Over The World Producing High Yield Water Wells For Ranchers, Farmers, Household Use, Ponds, Lakes, Swimming Pools, Irrigation, Hunting and Fishing Camps. Where It Was Impossible Before, Remote Villages In Africa Who Are In Desperate Need For Water Are Now Using Our Drilling Rigs To Supply Their Entire Communities With Clean Clear Abundant Drinking Water. Our Good Friend Rick Rupp Conducts Missionary Trips To The Solomon Islands To Install Water Wells For The Many Villages Who's People Are Now Drinking Contaminated Water From Stale Water Holes. Using Our Drilling Rigs, Rick Has Completed 95 Clean Water Wells In 2017, 150 Wells Since 2015, And Wants To Install 200 More Wells By The Year 2020. Rick Says "This Is The First Time In History That The Solomon Islands Has Been Able To Enjoy Clean Drinking Water. Please Click On This Link, Or Copy And Paste It In Your Browser: https://www.youtube.com/watch?v=k_PnaUvM-eE. This Video Shows The Water Wells Completed, And The Outstanding Work Rick Is Doing. The BoreMaster Rig Is Also A Great Tool For Geo-Thermal Installations. 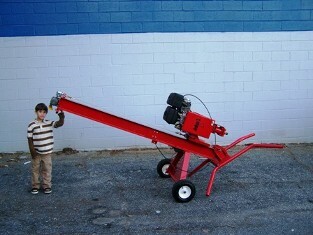 NOTICE: Our Old Competitor, "Deeprock Manufacturing", Originally Located In Opelika, Al., Is No Longer In Business, They Closed Down In 2012 And Auctioned Off All Their Equipment, Piece By Piece. The Guy In Texas Claiming To Be Deeprock Simply Hijacked Their Existing Website, Word For Word, And Just Replaced Their Phone Number And Address With His. The Original Deeprock Was A Reputable Company, This Guy Is NOT, He Is A Liar And A Thief, He Is Not Capable Of Building The Equipment Pictured On Their Website. We Provide Technical Assistance On All Our Equipment Before And After The Sale. It's Easy To See Why The BoreMaster Rigs Outperform And Outlast All The Rest. Q: Is it actually possible to drill a functional water well using this machine? A: Yes, in fact, this same rig is used all over the world right now drilling functional water wells for drinking water, irrigation systems, sprinkler systems, ponds, swimming pools, even geo thermal heating and cooling systems. The biggest atvantage of the BoreMaster is that it is portable and lightweight, easily transported into back yards, hunting camps, gardens, under trees, etc., and unlike the big truck rigs, it doesn't destroy the landscape. Q: What is the difference in these portable rigs, and the big truck rigs, can you drill as good a well as the big trucks do? A: These portable rigs can be taken into areas where the big heavy trucks can't go, without destroying landscape in the process, you can drill the exact same water well with the BoreMaster as the big trucks do. Q: Is it hard to operate? A: If you can operate a lawn mower, you can drill your own water well. The BoreMaster is designed for ease of operation, even for the beginner. We provide a Step-By-Step "How To" instructional manual with each purchase. In just a few simple steps and you can be drilling your own water well. A: The BoreMaster features the rotary drilling method, the most modern method of drilling for water today. It is fast and efficient and until recently it was only available in large, expensive, truck rigs. 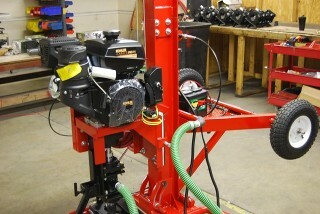 The BoreMaster consists of a rotary drill powered by a gasoline powerhead with an earth cutting bit attached to a five foot length of hollow drill stem. As the bit cuts into the earth, water is pumped through the drill stem with the high pressure mud pump and out at the bit, washing the cuttings up and out of the borehole to the surface. Additional sections of drill stem are screwed on as the bit goes deeper until you reach the water-bearing stratum. Q: How deep will it drill. A: The BoreMaster Standard Rigs are capable of depts up to 300 feet deep, although the average depth of most water wells is less than 100 feet. Many good water bearing formations are located at around 50 to 75 feet. Is it possible to drill deeper than 300 feet? It is possible, but other factors will need to be consided. Drilling through rock requires optional special bits designed for cutting through rock, but, keep in mind that these are portable lighweight rigs, drilling through rock is time consuming and requires patience. DRILLING THROUGH MASSIVE HARD ROCK FORMATIONS IS NOT RECCOMMENDED WITH OUR STANDARD RIGS, even the large truck rigs are limited when drilling through this type of hard rock. When encountering hard rock, we reccommend moving around and try to avoid it. Q: How do I know where to drill? A: If you have as much as a city lot to drill on, the odds of finding a good water-bearing stratum are in your favor. The only things to consider are areas that will flood, you don't want your well flooded by rain water, and stay at least 50 feet from septic fields. Other than that, one drilling site is about as good as the other. We provide fast customer service and shipping, and all our products come with a 3 year warranty. Our easily operated portable drilling equipment has proven itself time after time. Easily transported, the BoreMaster™ can go where the big rigs can't go. Q: Why should I consider the BoreMaster over the competition? 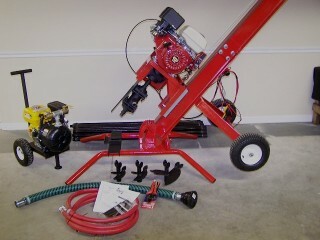 A: The first key feature is the heavy duty construction, the support frame is made of a solid steel beam, no poles, no tubes, this insures a stable, smoothe, straight-line drilling process, not the constant shaking, warbeling, and rocking action commonly seen on the lighter, cheaply made rigs. Another key feature is our patent pending High Volume Water Swivel, our swivel is a high volume, high pressure, high capacity swivel, this is the heart of the rotary drilling system, this is what is needed to force the loose cuttings, gravel, and small rock up and out of the borehole when drilling, especially at depths over 50 feet. Everything about the BoreMaster equipment is quality, heavy duty and made to last a lifetime. And we guarantee that you won't find a better price on another "comparable" drilling rig with as much high quality and with all the key standard features, found in the BoreMaster products. If you are not completely satisfied with your purchase, return Unused within 10 Days for a Full Refund less shipping charges. We Maintain An "A+" Rating With The "BBB"